Women have a unique set of heart attack symptoms, says retired HRT pharmacist and women’s health expert Marla Ahlgrimm. But what are the signs of a heart attack? Ahlgrimm helps you test your cardiovascular IQ in the following brief post. True or false? Men are the only ones that experience chest heaviness during a heart attack? False. According to Marla Ahlgrimm, women, too, experience chest pain. Additionally, women are far more likely than men to feel unusual upper body discomfort. True or False? A heart attack victim always stops what they’re doing, clutches their chest, and falls to the ground. False. It is quite possible to experience a heart attack and mistake its symptoms for other conditions. More than half of all women who have had a heart attack report feeling muscle tiredness or extreme fatigue during the event, says Marla Ahlgrimm. 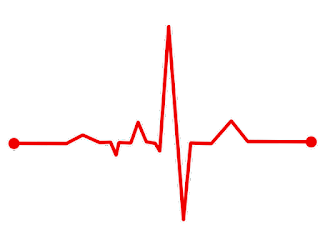 Most women do not attribute a sudden lack of energy to heart problems. True or false? Menopause and heart attacks have some overlapping symptoms. True. Excessive sweating and cold sweat are a sign of a heart attack. Marla Ahlgrimm reports that it is not uncommon to mistake sudden cold sweats for hot flashes - the most noted symptom of menopause. Women in their 50s who are entering menopause are also in the same demographic of those most at risk of having a heart attack. A good rule of thumb is that if it doesn’t feel right, call a doctor and get checked out. True or false? Women experience unexplained nausea and vomiting more than men during a heart attack? True. Though often written off as a less serious condition, Marla Ahlgrimm encourages women who experience sudden and severe indigestion, nausea, or vomiting to speak with their doctor. In addition to being an indication of a possible heart attack, unexplained vomiting may also be indicative of other serious health concerns.